Simple recipes are the best. 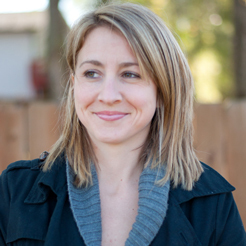 When I feed my children, I love recipes with few ingredients that don’t require much prep. 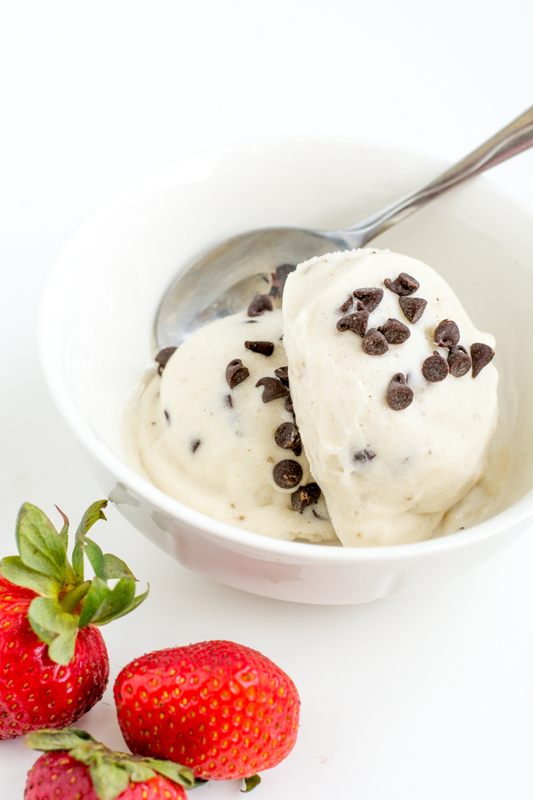 Well, did you know you can blend smooth frozen bananas and it creates a delicious frozen ice cream-like dessert? 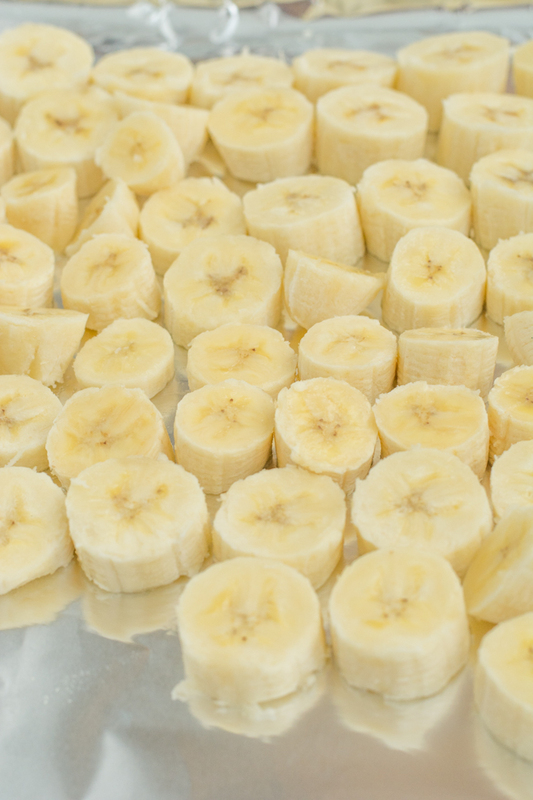 Check out my recipe below for these two ingredient frozen banana bites. Step 1: Peel and slice the bananas. 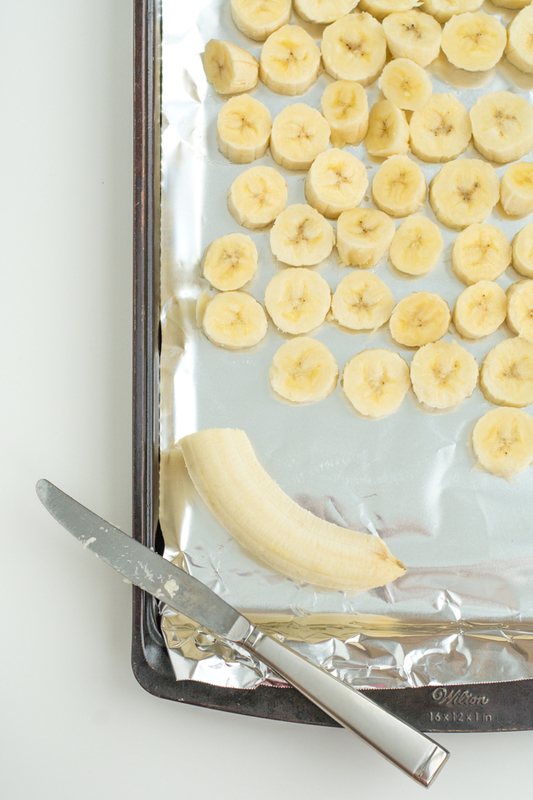 Lay the slices out on a foil-lined baking sheet. Cover with plastic wrap and pop in the freezer for about an hour. 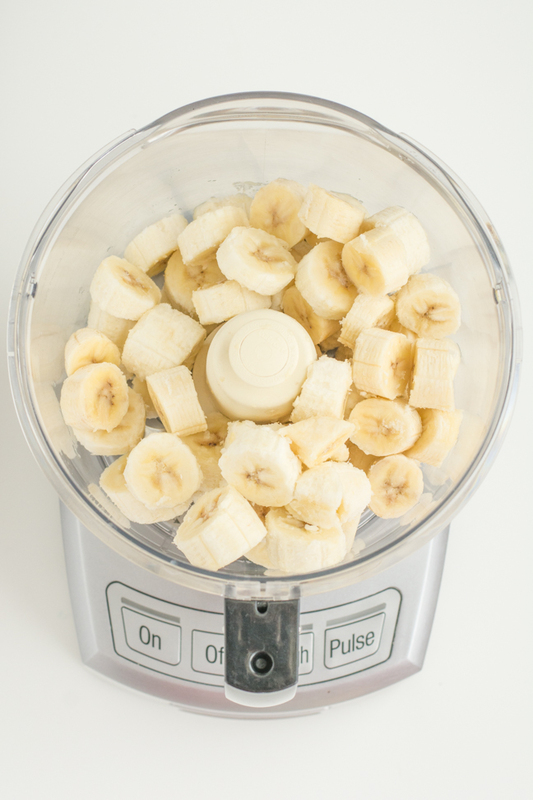 Step 2: Take the bananas from the freezer and toss the bananas into the bowl of a food processor. Step 3: Blend the frozen bananas until smooth. The frozen blend might require some coaxing with a hard plastic scraper. It gets a little clumpy before it gets smooth. 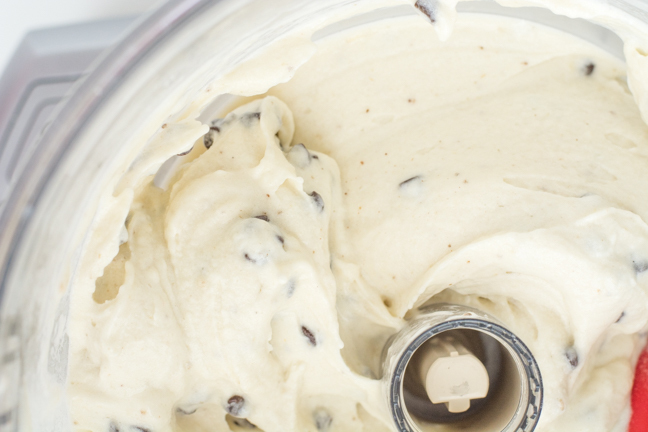 Once it's smooth, stir in ½ cup of the mini chocolate chips. 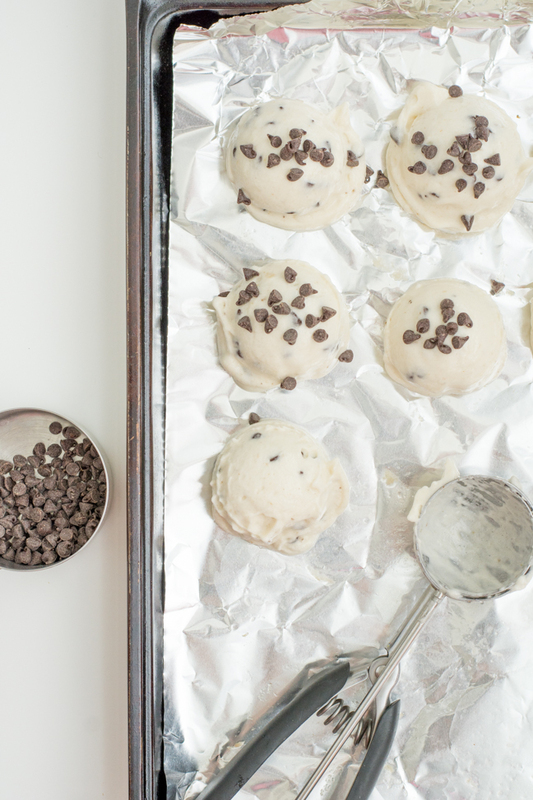 Step 4: Use a large cookie scoop to portion out the banana/chocolate chip mix onto the foil-lined baking sheet. 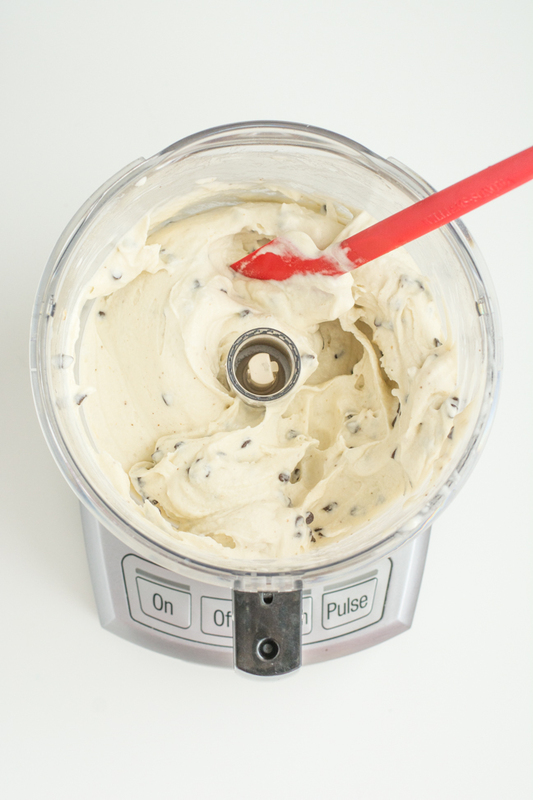 Sprinkle the scoops with chocolate chips. Place in the freezer for an hour to harden. Step 5: Eat! 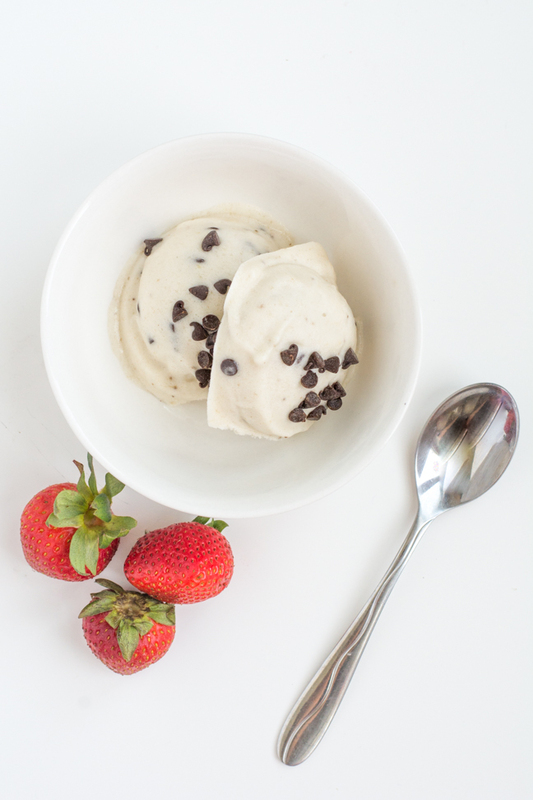 We love ours plain or topped with cut up strawberries. 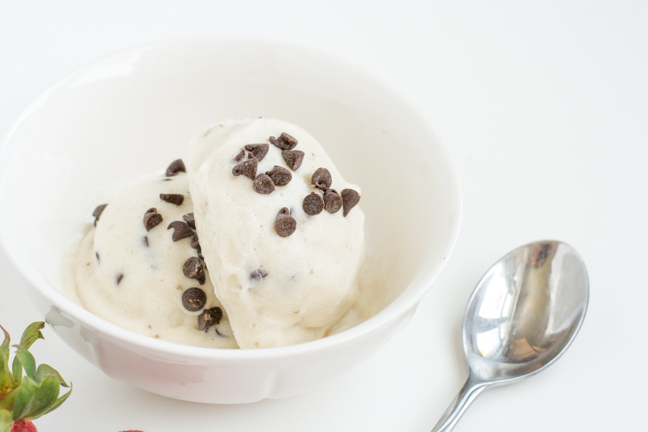 Uneaten scoops should be transferred in a freezer-safe container with a lid, layered with wax paper. Optional: Press a wooden stick into the scoops before freezing them to make them easier to eat for little hands and mouths.